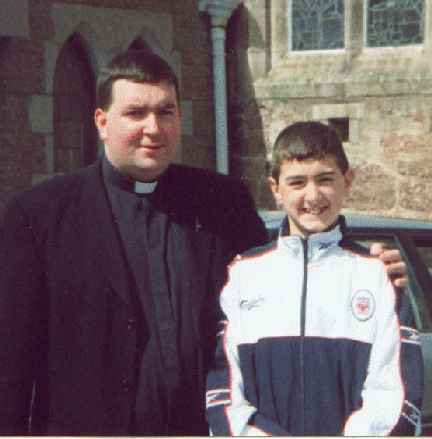 Here Gary is pictured with Fr. Aodhain at Stephen's confirmation in Bride Street Church Wexford Town. This was one of the last photos of Gary just a month before he died. He enjoyed the Fr. especially the sermons on a Sunday and often met Aodhain in school to tell him what he thought of the sermon the previous day.